Acne scar treatment options are more plentiful today than ever before. And for good reason – millions of people are searching for ways that they can address the scars that have been left behind after their battle with acne. As science continues to advance, there will be even more acne treatment options that become available. The good news for those who may have acne scars that they want to address is that the options are readily available. It all comes down to choosing the one that makes the most sense for you and fits your budget. There are treatments for acne scars that will help you to stop hiding your face and have beautiful skin. Acne itself is such a common condition that it’s estimated by the National Institutes of Health that 80 percent of people between the ages of 11 and 30 have had acne outbreaks at some point. Clearly, this skin disorder is something that has touched most people. While it’s an unsightly problem when the acne is present, many people are happy when it’s gone and they are left with clear, beautiful skin. Yet many people are left with anything but that, and then their next quest begins of finding effective acne scar treatment. In fact, despite the acne being cured, many people continue to be haunted by their battle with acne. In the journal Clinical and Experimental Dermatology, researchers report that acne scars are present in 95 percent of patients with acne, so you are not alone in this battle. When any wounds are healing, scars can be left behind. The U.S. National Library of Medicine reports that acne scars are the result of inflammation within the dermal layer of the skin. That inflammation is brought on by the acne, and the scar forms because there was an abnormal form of healing that took place. Acne scars are found in deep layers of the skin and there are several ways in which they can be formed. Some of them are smaller, flatter, and less noticeable, while others may be more present or have a “pock mark” look to them. The most common type is atrophic scars, which is when there is not enough connective tissue made during the healing process. This abnormal healing leads to a dent that is left in the scar, and the person will need to seek acne scar treatment to achieve clear skin. When looking at the most effective treatments for acne scars, we must mention the impact the scars have beyond the skin. Those who have acne scars are often left feeling embarrassed, with a diminished self esteem, and may also experience a lower quality of life as a result. In a study published in the Indian Journal of Dermatology, authors shared their findings from a study they contacted where they aimed to assess the impact that acne and its scarring have one’s daily life. The study included 100 patients, 70 percent of whom had acne scars, who were undergoing professional acne treatment. Each patient was given a questionnaire that looked at 10 areas of their daily life. What they found was that patients experienced embarrassment, and that it impacted such things as the clothes they wore, social activities, working and studying, and they had interpersonal problems. The researchers concluded that there was a significant impact on emotions, daily activities, relationships and with their work/study. They also advised that some patients may be candidates for counseling, because they were so negatively impacted by the acne and scarring. Another reason that people may seek acne scar treatment is how they are perceived by others. While we would love to think that people don’t judge someone based on acne scars, the research tends to show otherwise. In research published in the journal Dermatology and Therapy, scientists conducted a study to see how people with facial acne scars are perceived in society. They conducted a multinational online survey that included over 4,600 participants. The results showed that people found those with acne scars to be less attractive, less confident, less successful, less healthy, and less happy. The researchers concluded that facial acne scars are perceived negatively by society, which is another motivating factor in finding an effective solution. Don’t let the word “chemical” scare you away from this type of treatment. It’s one that is offered by many spas, dermatologists, and other professionals, and it has a good track record for helping to get rid of the scars. In a study published in the journal Clinical Dermatology, researchers evaluated how effective chemical peels were for treating both active acne and acne scars. What they concluded from their research is that a series of chemical peels can provide significant improvement in just a short period of time, leading to patient satisfaction. Chemical peels are commonly used to help improve the skin’s appearance, even beyond those with acne scars. They involve a particular chemical, such as salicylic acid or glycolic acid, being applied to the skin, which will then cause the skin to exfoliate, and when that happens it ends up peeling off. The new skin that takes its place is usually smoother, and blemishes are less noticeable. Chemical peels for acne scar treatment are available in superficial, medium, or deep peels. The specific type of peel that someone would get depends on their skin type, among other factors. Takeaway: Chemical peels can be effective in addressing acne scars. The cost of getting a chemical peel varies, depending on the intensity and where you have it done. While you want a professional and experienced place to do it, be sure to inquire with several places regarding pricing, options, and their success rate in using to help those with acne scars. 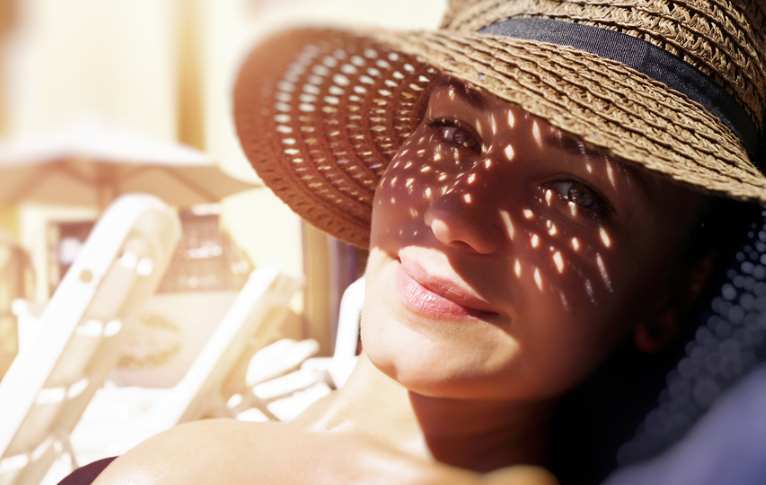 It may sound like a high-tech treatment, having laser lights be used for treating acne, but it’s an effective route toward achieving beautiful skin. Laser treatments for addressing acne scars involves using a high-energy light that will burn away the damaged skin. The laser light gently targets the scars and will heat the skin in that area to remove the damaged spots. Typically, people who get laser treatments for their acne scars will have a series of applications, usually around six, that take place over the course of one week. Studies have shown that using laser options is an effective acne scar treatment, but it can also be used to address acne itself. In a study published in the Journal of Cutaneous and Aesthetic Surgery, researchers evaluated the effectiveness and safety of using laser treatments for acne scarring. The study included 80 patients with facial acne scars who underwent four treatment sessions. Following the series of treatments, they found that 78 of the patients had at least a 25% improvement, and 50 of them had at least a 50% improvement. They concluded that 97 percent of the patients who took part in the study had at least a fair improvement and there were very few adverse affects. Takeaway: Laser treatments can be effective for both addressing acne and to treat acne scars. They do require multiple applications and not all types of acne respond as well to them. The best way to find out if you are a candidate for laser treatments is to consult with a cosmetic surgeon or dermatologist that offers the service. You may be new to the term dermal fillers, but once you learn more about what they are and how they are effective for acne scar treatment, you will be intrigued. The gel-like substance is injected into the skin to help restore volume loss. They can be made with a variety of things, including hyaluronic acid and poly-L-lacitic acid, among others. 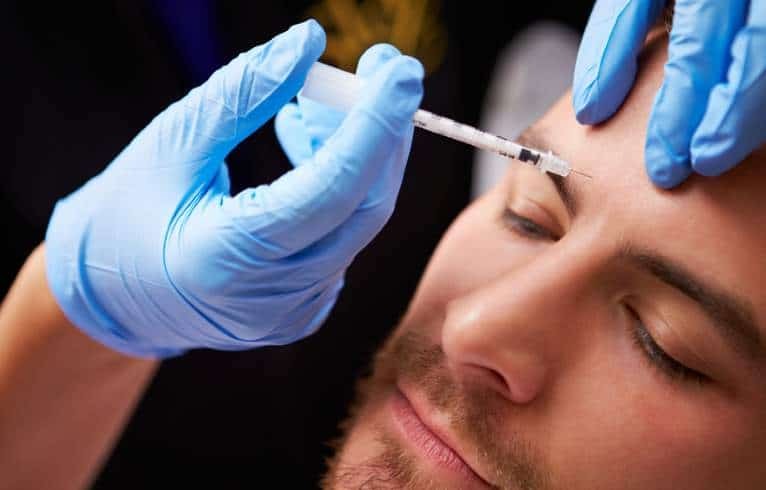 When the substance is injected into the skin, it helps to replace the tissue that is missing, thus helping to reduce things like acne scars and wrinkles. Fillers are an option that can help less acne scars by filling in the area to restore volume. In a study published in the journal Clinical and Experimental Dermatology, researchers shared their findings from a study that looked at how effective fillers are for acne scar treatment. They reviewed the usage of temporary, semi-permanent and permanent fillers that were used for acne scars. They found that there was evidence to support the use of poly-L-lactic acid and hyaluronic acid fillers to treat acne scars. Some fillers may be temporary, lasting from three months up to a year, so those who use this treatment route will need to have the procedure repeated. Takeaway: You will find spas, dermatology centers, and plastic surgeons, among others, offering dermal fillers for acne scars. Not everyone is a good candidate, however, because it depends on the type of acne scar that you have. If you are interested in this type of treatment, arrange for a consultation to see if you would have success with it. A topical acne scar treatment, adapalene 0.3%, goes by the common brand name of Differin. The medication is considered to be a retinoid, which works to regulate cell growth. You can find this product in non-prescription forms and is available in a variety of forms, including lotions, creams, and gels. Within the first couple of weeks of using this product, you may experience mild burning, itching, dryness, redness, and it may seem as though things are getting worse before they get better. This is an affordable treatment option that can be picked up at many stores, as well as ordered online. The research backs up the notion that adapalene 0.3% is an effective acne scar treatment. In a study published in the journal Dermatology and Therapy, researchers evaluated the product by having a group of people with acne scarring use it daily for four weeks and then twice daily for 20 weeks. They assessed the scarring at intervals throughout the study. They found that the treatment improved their skin and that the participants were satisfied with the outcome and that they reported an improvement in their quality of life. Takeaway: If you want to try an inexpensive treatment, you can pick this up at a nearby store and get started. By applying it daily, you may join the ranks of those who have found great results. It’s important to note that the results don’t happen quickly though; you will need to use it for several months as the transformation gradually takes place. When it comes to acne scar treatment options you have a range of things to choose from, including opting for using natural oils. Essential oils have been shown to be effective at treating acne scars. Considered to be the “essence” of a plant, the oils are derived through either heat or pressure methods and then bottled or used in products such as lotions, creams, and gels. Depending on the type of essential oil, some can be applied topically, while others are used more in aromatherapy. Essential oils are affordable and can be purchased online or at health food stores. In a research study published in the journal Evidence-Based Complementary and Alternative Medicine, researchers shared their findings on using commercial essential oils to treat skin diseases. In addition to their list covering which essential oils will help clear up acne, they also included ones that can be used for scars. Among the essential oils that can be used for acne scar treatment include yarrow, rosewood, neroli, mandarin, myrrh, palmarosa, carrot seed, and lavender. Takeaway: Essential oils are natural, typically have low negative effects to using them, and can address both acne and be used as a scar treatment. If you are interested in giving essential oils a try, research the different types that will work best on acne scars, and the recommended way to use them, in order to find the right option for you. A process that uses an electric machine to gently scrape the top layer of the skin, microdermabrasion is another option you may want to consider for acne scar treatment. Typically performed by plastic surgeons, dermatologists, and at spas, the treatment does take up to a week to recover from. Most people require multiple treatments over time in order to achieve the results they would like, but it leaves the skin looking fresher, smoother, and clearer. In a study published in the American Journal of Clinical Dermatology, researchers shared their findings regarding microdermabrasion. They advised that it is a simple and safe procedure that can be used for such things as scars. They concluded that because of its simplicity and patient satisfaction rate, it was going to stick around as popular treatment option. Takeaway: Microdermabrasion provides an effective treatment option for some people. If you consider taking this route, you will have some recovery time and likely need multiple treatments. Be sure to account for that when fitting it into your schedule. When it comes to addressing acne scars, there are numerous options to choose from. But one of the most effective ways to address the problem is to try to prevent it in the first place. This may seem like an easier thing to say than to do, but with the right products you can help to minimize and eliminate acne, so that you don’t go on to have scarring problems. Getting a handle on the management of acne is crucial right from the beginning, so that it doesn’t become a larger problem and one that may lead to scars. Exposed. The Exposed Skin Care line is a complete acne treatment system. Rather than buying various products to address the issue, you just need this one acne treatment system. It’s highly effective and has a great reputation for helping people get clear, beautiful skin. The treatment system comes with the tools you need for cleansing, treating, and moisturizing, and it’s all been formulated so it won’t dry out your skin. It even comes with a probiotic and microfiber cloth, so you can exfoliate and help your body gain beneficial bacteria to help fight acne. Of those who have used the system, 98% of them report that they saw results within 30 days. Natural Scar Cream. Containing vitamin E, this natural scar treatment can be used for both new and old scars. It hydrates the skin, contains essential oils, and nourishes the skin. It’s highly rated by those who have used the product, with people reporting that it is an effective treatment for acne scars. Those who have had success with it typically see results within weeks, with some having a noticeable difference in just one week of using it. TruSkin Naturals. Derived from the essential oil tea tree, this serum will help nourish the skin, is an effective scar treatment, and will help give you beautiful clear skin. In addition to the powerful essential oil, it contains vitamin B3, vitamin C, retinol, and hyaluronic acid, among other ingredients. Some people claim this little bottle is pure magic and life-changing, it’s that powerful. Q. Is there an acne scar treatment that is effective? A. There are numerous treatments that have been shown to be effective for addressing acne scars. Many have been used in medical studies to determine whether they are effective and safe. The more you learn about the many types of options available, the more likely you are to see the one that is a good match for your particular needs. Q. Which treatment method should I use? A. It’s a personal decision as to which treatment option will be best for your particular situation. There are factors, such as the type of acne scars you have, your budget, and your recovery time that will need to be considered when opting for the treatment that is right for you. Q. Do acne scars make people depressed? A. There has been research done that demonstrates how people who have acne scars are impacted, and how others perceive those with acne scars. Those with acne scars are often prone to experiencing a lower quality of life and being less happy overall. Opting for treatment can have a dramatic and positive impact on the person’s life. Q. What is the best treatments for acne scars? A. There is no one best treatment, but there are numerous effective treatment options to choose from. Not everyone is a candidate for every type of treatment that is available. There are variables that will need to be considered, including the type of acne scar that the person has, because some respond to particular treatments better than others do.